Discos, darts tournaments, donkey derbies, dinosaur spotting. There’s a fundraising event out there for everyone (and they don’t have to start with ‘d’). You can fundraise with friends, work colleagues, family, your classmates, your guinea pig - or simply on your own if you prefer the peace and quiet. We've got you covered. Whatever you do, raising money for CLIC Sargent will directly help children and young people with cancer, and their families. So join Team CLIC Sargent and shout loud and proud for young lives against cancer. Put your hand up if you're going to make a difference to young lives with cancer this year! What could YOU do? Fundraising ideas to get you started at home, school or work. Everything you need to start fundraising for CLIC Sargent, from sponsorship forms to posters to fundraising ideas. You're an amazing fundraiser. You want to pay us the money. Find out how. Many supporters tell us they find it comforting to fundraise in memory of a loved one. Set up a Remember Me or Support Me fund to show your support. 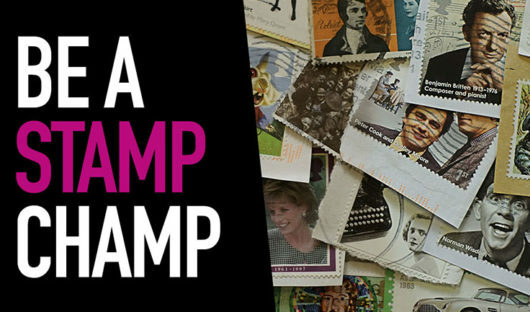 Collect used stamps for CLIC Sargent and help raise vital funds for young lives against cancer. If organising events or doing challenges isn't your thing, there are other ways you can help young cancer patients.